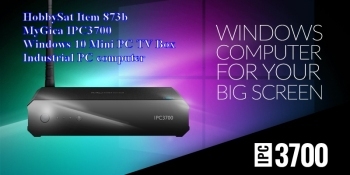 Item 873b Special Price $228.95Can or $168.95us Brand New. Item 873b: $228.95Can or $168.95us Brand New. 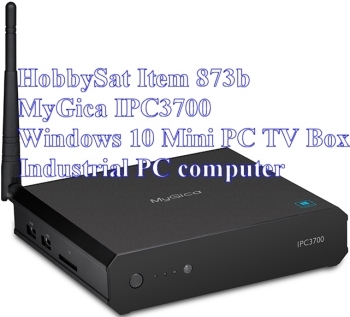 MyGica IPC3700 Windows 10 Mini PC TV Box Computer for your Big Screen. 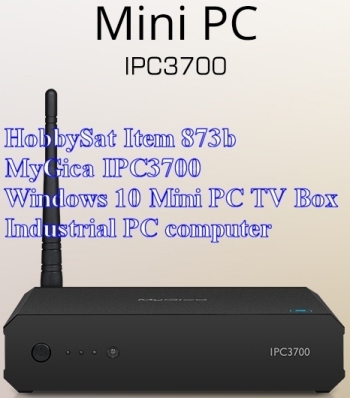 Mini PC IPC3700 provides you a cheaper and more powerful solution to changing out your old desktop PC and with Windows 10. 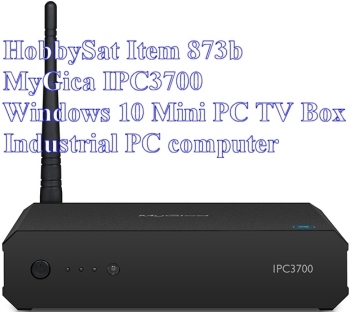 MyGica IPC-3700 is a compact mini size industrial PC using Intel BayTrail-T Z3735F/Z3735G CPU. 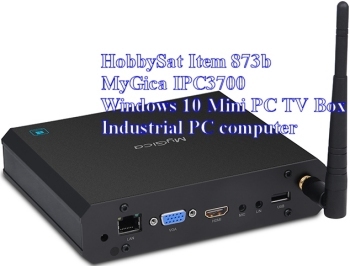 The Software You Want Powered by Windows 10.
with your Television via an HDMI port or your Monitor via VGA. •	1 Year Warranty in Canada and USA repair facilities. Exchanges are only done if the unit cannot be repaired. Video: MPEG-1, MPEG-2, MPEG-4, H.264, VC-1 1080P, WMV, MOV etc. Audio: MP3, WMA, OGG, WAV etc.